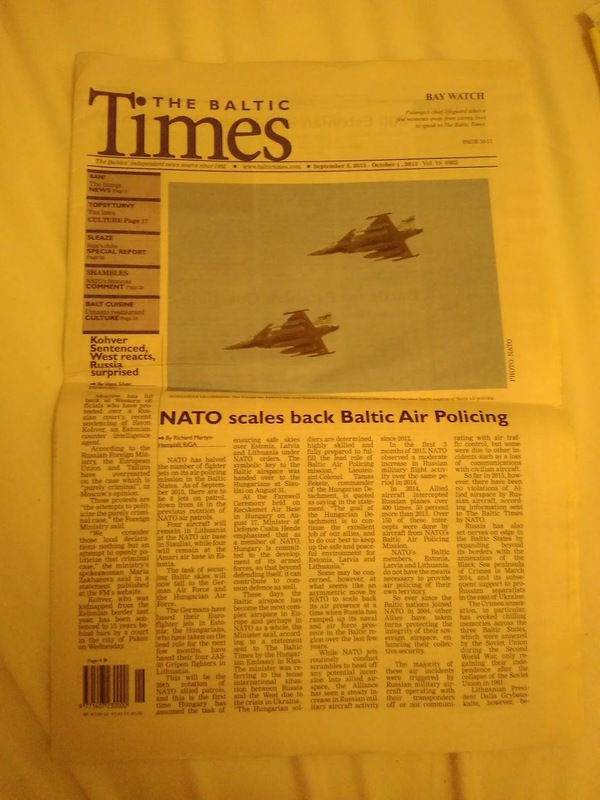 When I was in Vilnius, I borrowed a local newspaper- The Baltic Times from hotel reception and read through it. I also watched an Ukranian news channel- Ukraine Today that telecasts regional news in English language. We in India are not much concerned about what is happening in this part of the world. But it doesn’t harm to keep ourselves informed. I have compiled some key news on the events unfolding in the Baltic region. Estonia, Latvia, Lithuania are the three countries that are known as Baltic States. These are located in north eastern corner of Europe, bordering Russia. Read through these news snippets for your own GK purpose. 1 Hungary takes lead in NATO Air Patrol- The Baltic states are part of NATO. But these countries are financially very poor and do not have enough military and air power to defend their skies. So other powerful NATO member states take turn to protect Baltic air space- mainly from Russian military aircrafts. At present Hungary is in-charge of this air patrol. Every few months the rotation happens- another NATO country takes charge of protecting the air space. Interestingly detection of Russian military aircraft inside Baltic region has increased 50% compared to previous year while NATO has scaled down its patrolling fleet from 16 to 8 planes. 2 Burqa ban? There are some statements going on about middle-east crisis and if burqa should be banned. Many Baltic state leaders believe Burqa should be banned, in their personal opinion. But official response has been “there should be a debate on this”. They believe since they are a free society there is no need for someone to cover their faces and covering face all the time could also be a security concern as CCTV cameras cannot identify a person in case of incidents. France and Netherlands have effective laws against covering full face in public, Baltic states have very minimal muslim population for this issue to get enough political attention. But with increasing migrants from middle east the topic has come to life again. 3 Some remnants of cold war is still on. Reportedly Russia captured an Estonian national recently(named Eston Kohver), who is believed to be a double agent. He is charged with illegal border crossing, carrying arms and such cases and sentenced to death in Russian court. 4 Estonian map makers forget 800 islands: Estonian mapmakers have missed over 800 tiny islands all these days it seems- recently included in updated maps. But these islands are too small for any practical significance-less than 100 meters by 100 meters in dimension. 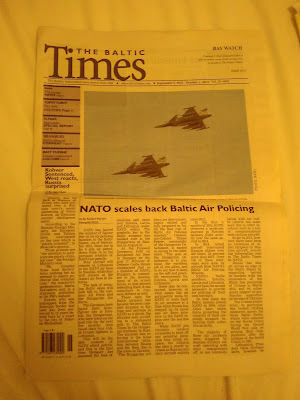 Note: Source of the news is Baltic times and Ukrain Today news channel. Simplified and represented for Indian audience by Shrinidhi Hande.